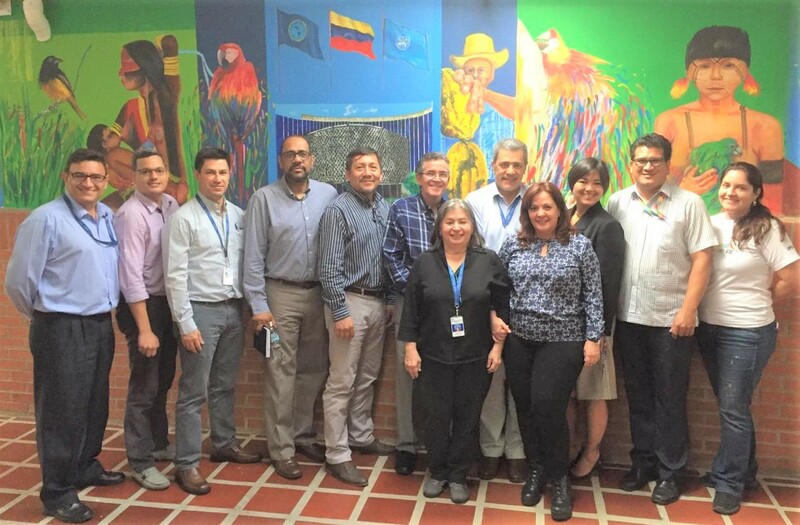 The Latin American and Caribbean Center on Health Sciences Information (BIREME) and PAHO/WHO Venezuela have increased efforts for the reactivation of the Virtual Health Library (VHL) and the visibility for scientific output on health information produced in the country. One of the actions for establishing mechanisms for technical cooperation that allow the updating, relaunching and permanence of the national VHL was the meeting of BIREME Director, Dr. González, with the National VHL Technical Committee, presided by the Universidad de las Ciencias de la Salud “Hugo Chávez Frías” through María Mercedes Estrada, and constituted as well by the Ministry of Popular Power for Health (MPPS), the Instituto de Altos Estudios “Dr. Arnoldo Gabaldon”, the Instituto Nacional de Higiene “Rafael Rangel” and PAHO. The meeting was also attended by representatives of the VHL Cooperating Centers, among which are the Universidad Central de Venezuela, which holds the Asociación de Editores de Revistas Biomédicas Venezolanas (ASEREME) and SciELO Venezuela, national authorities and PAHO authorities in the country. At the occasion, the Director of BIREME presented the work of the PAHO/WHO specialized Center, explaining its mission, strategies and the products and services which may be of use for the country. 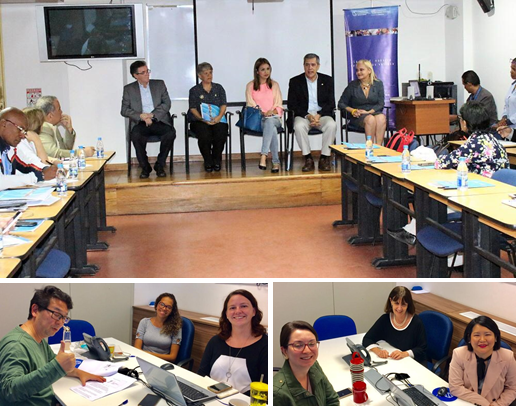 He was accompanied virtually from BIREME by Verónica Abdala, Information Sources Manager, and Marcos Mori, Methodologies and Information Technology Supervisor, which presented the topics “The VHL Model” and “Technological Advances of the VHL”, respectively. Continuing the mission, Dr. González and the PAHO team, composed of Dr. Joel Caraballo, National Advisor for Health Services (HSS) and Dr. Tulia Hernández, Advisor for Evidence and Intelligence for Action (EIH), effectuated a work day with the Cooperating Centers and the Asociación de Editores de Revistas Biomédicas Venezolanas (ASEREME). After presenting BIREME’s Strategy for increasing visibility for Latin American and Caribbean scientific output, national presentations were held, such as: “VHL Venezuela and a Plan for its Strengthening”, by María Mercedes Estrada, Secretary General of the VHL Venezuela Committee; “Situation of Scientific Publication in Venezuela”, by Freddy Contreras, President of ASEREME; and “Situation of SciELO Venezuela”, by the President of Fundasinadib, Dr. Mariano Fernández. The meeting also had the virtual participation of Sueli Suga, Supervisor of Referential Information Sources from BIREME, presenting “LILACS: visibility and quality of Latin American and Caribbean scientific output”, and Dr. Lilian Calò, Coordinator of Scholarly Communication at BIREME, presenting “Emerging topics on Scholarly Communication”. Dr. González had the opportunity of visiting one of the most important VHL Cooperating Centers in the country, the Humberto García Arocha Library, ascribed to the Faculty of Medicine of the Universidad Central de Venezuela and host to many databases, such as LIVECS, SciELO and LILACS. Dr. González took a tour of the premises and identified, along with the team, the potentialities and necessities. 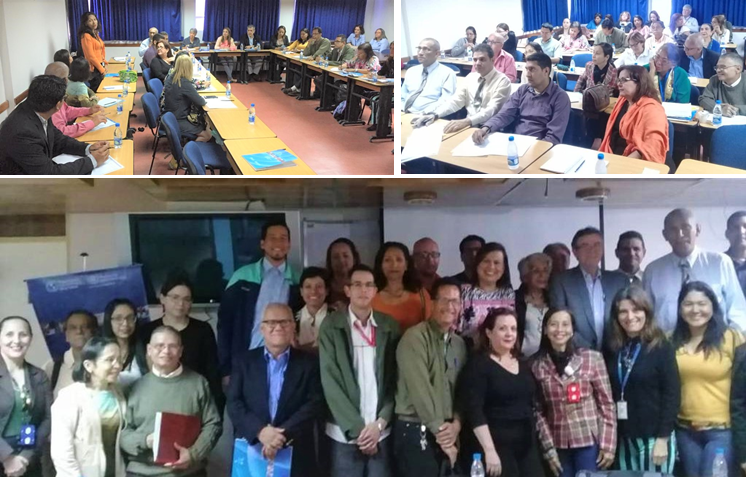 To conclude the mission, Dr. González held a meeting with the technical team of PAHO in the country, with the purpose of showing the products and services offered by BIREME and exploring possibilities of joint projects that aim to strengthen the systematization of health information. According to Dr. Jose Moya, “strengthening equitable access to health information is a medullar strategy which allows for an optimum functioning of health. It is a priority for our organization to make all possible efforts for including the entire population, where health professionals, researchers, teachers and students are the main users”. María Mercedes Estrada emphasized “the importance of networking is key for making our efforts tangible. This implies meeting, respecting each other and learning new ways of working and relating, as well as incorporating the practices that are best adapted to our context, in order to place health information and knowledge at the service of students, researchers, innovators, managers, decision-makers and users in general”.